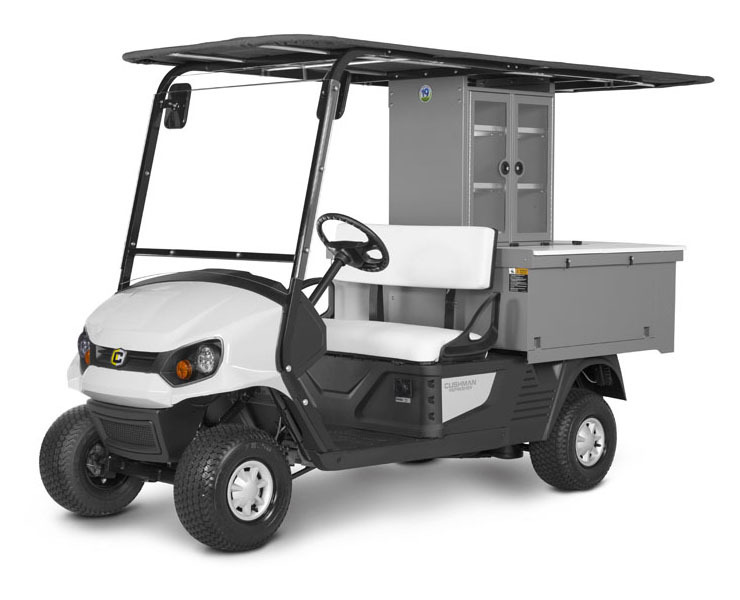 Industry-leading can capacity and your choice of the industry's only 72-Volt AC electric drivetrain or 13.5hp Kawasaki gas engine. The Refresher Oasis was built for long days and busy events. With its 500-can capacity and enough merchandising space for your most popular items, stopping to restock is yesterday's problem. Now available in a 72-Volt AC electric drivetrain or a 13.5hp Kawasaki gas engine. 900 Watt, 72 VDC, 120/230 VAC 50/60 Hz.